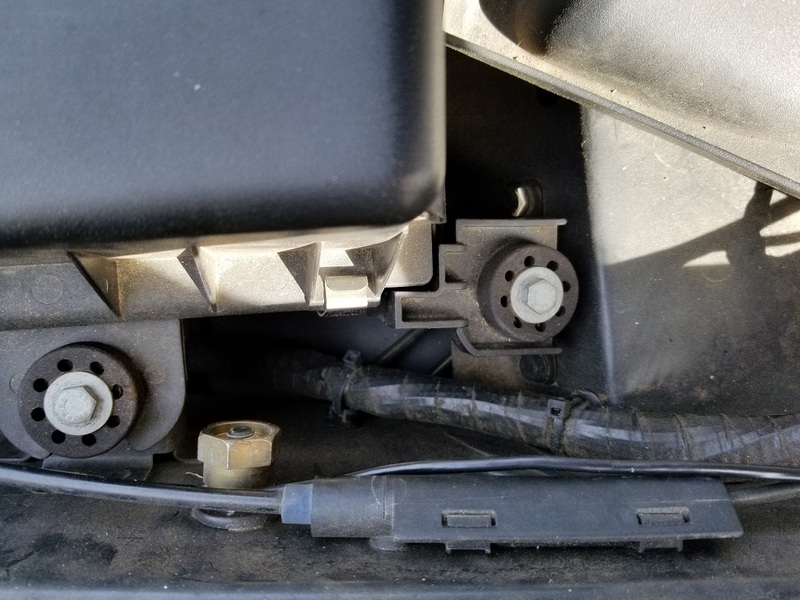 When I bought my 2001 X5 the previous owner told me the air conditioner didn’t work and the dealership couldn’t fix it. That didn’t make much sense but I just took it as it didn’t work and I would look into it later. 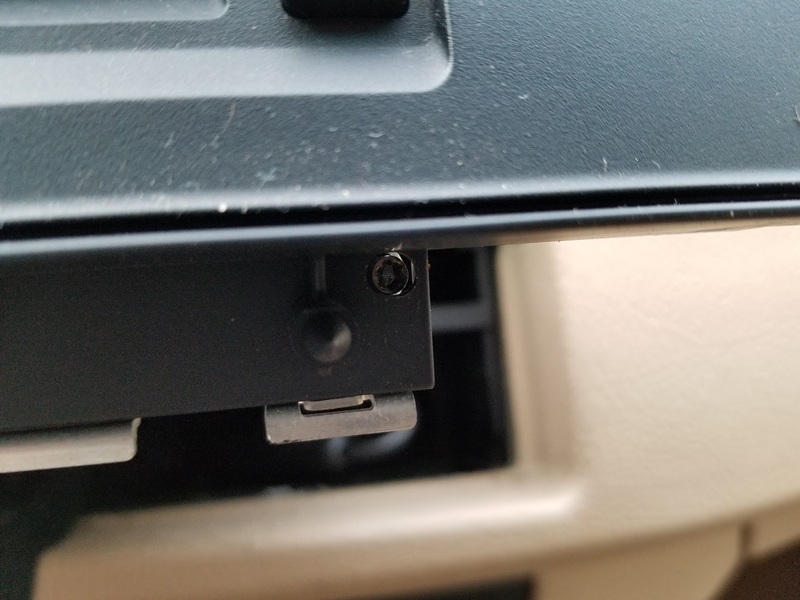 Well it turns out the ac system in this X5 has a really weird problem that may of actually been closer to what they told me. I tried the ac out one day and surprisingly it worked. Worked very well actually. Damn cold. Then it quit after 5 minutes or so and wouldn’t come back on. So I ignored it and about 5 or 10 minutes later it started cooling again. Strange. Well I hooked up my gauges and everything looked ok so I started the car and turned on the ac and everything still looked fine. High side and low side were in the happy zone. I then went back to monitoring the scan tool I had hooked to it and everything was looking great. Pressure sensor matched the high side reading on my gauges. Then after 5 minutes or so the computer commanded the compressor to turn off. The gauges and scan tool numbers were still great. There was no reason for it to turn off the ac. No error codes and good data. After sitting there watching all of this for over an hour it would work 5 minutes cooling great then the computer would turn off the compressor and it would stay off for around 10 minutes or so and then it would turn it back on. At this point since this is my offroad/spare X5 and not the other two main X5’s I could see no point in putting up with flakey ac when I could just go around the goofy computer. The method I went with to start with was over the top to the say the least. I set about reading the sensor from the ac line to determine pressure, compressor request from the factory switch, the works. Then it dawned on me. 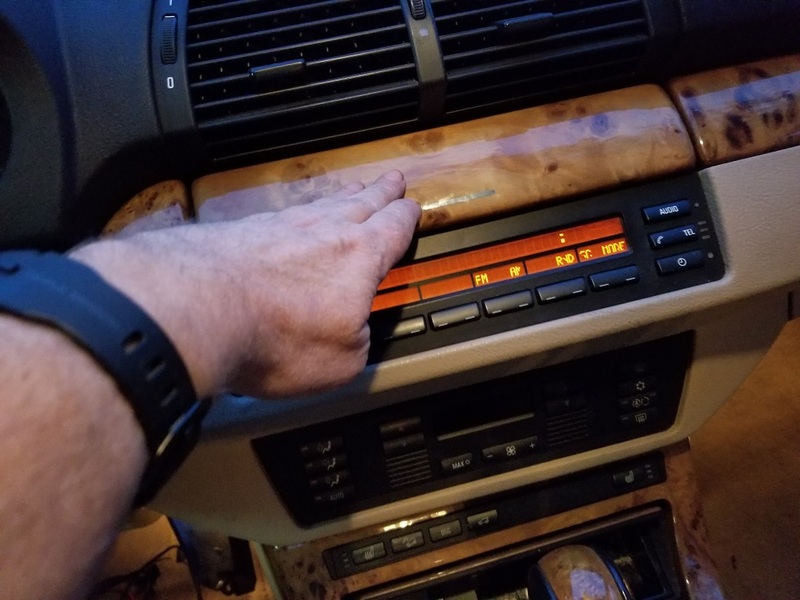 I didn’t want this much hardware invested in this X5 and without the adroid radio upgrade there wasn’t any way to see what it was doing aka monitor it. So I went old school. I figured I would keep it simple by ignoring low side cycling (the x5’s don’t cycle the compressor on and off like most cars anyways). So to keep it as simple as possible all I needed to do was power the compressor myself but I didn’t want to completely remove the factory method in case I wanted to try fixing it later. So that meant leaving the factory method going while adding power to the compressor when I wanted it. Normally this isn’t a big deal. Most compressors just need 12v positive applied to them to engage the clutch. So you could just splice into that wire and add 12v to the wire with a switch of your own. But the X5 sends 5v to the wire when its off and 12v when the compressor needs engaging. I have no clue WHY it does this but it does. So that told me there was a chance that if I just applied 12v to the compressor wire myself something nasty might happen. So why risk it. DME’s are not cheap. So I needed a relay to switch out the factory power source to my power source. This in itself wasn’t to challenging but then I ran into a new problem. I needed it powered when the key was on and not when I turned off the engine. Otherwise if I forgot to turn my switch I added off it would drain the battery down keeping the clutch engaged all the time with the car not running. 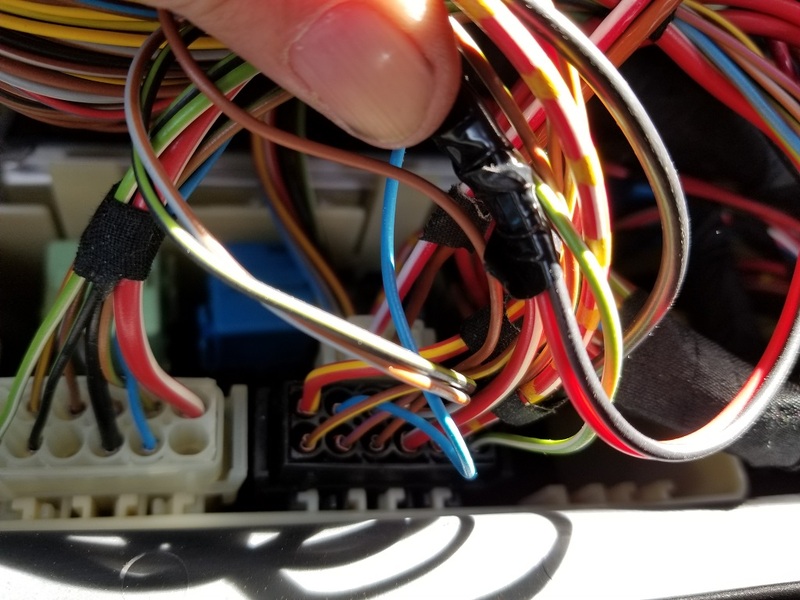 Finding an ignition switched power source under the hood on a X5 isn’t the easiest thing to do. I ended up grabbing a wire from the DME box that is ignition switched. Now after finding my power source for my compressor relay I got to thinking and remembering nasty things people had ran into pulling power from that spot for angel eye installs. Also I had no way of knowing what the max amperage that circuit was designed for. I knew the compressor clutch was rated for a little over 3 amps but I had no idea what the power source I was tapping could handle. So to play it safe I decided to add another relay. If nothing else this second relay would give me a good power source for other mods later. I did it as a 30 amp circuit off the positive battery lug that is under the hood. As with most of my projects it began via amazon ! 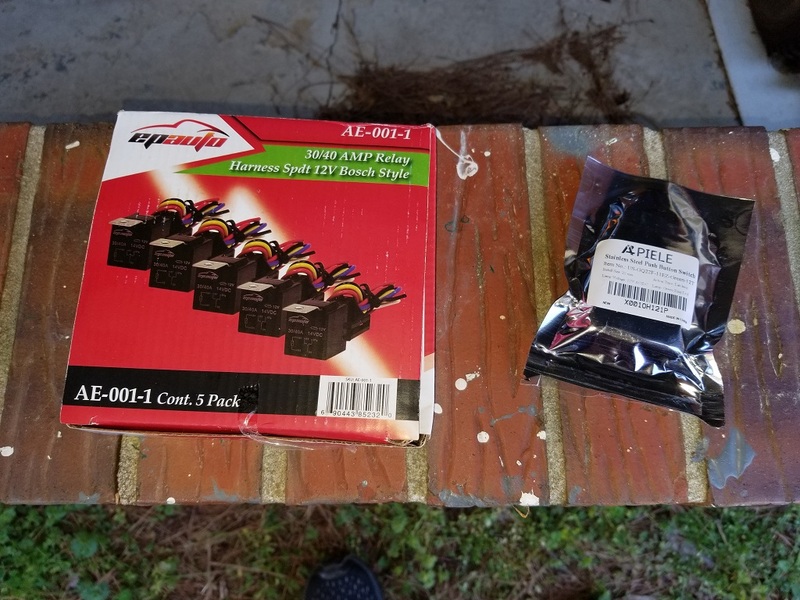 I picked up a 5 pack box of relays with pigtails (love that part, no crimping spades on wires) and a nice switch to mount to control the project with pigtail too. Then I proceeded to do the install. You can see the 30 amp inline fuse I added close to the battery lug and the ground I went with since it was close using the factory ground lug. Also notice the fuse is MISSING from the fuse holder. This way if something touches something that shouldn’t no popping the fuse. 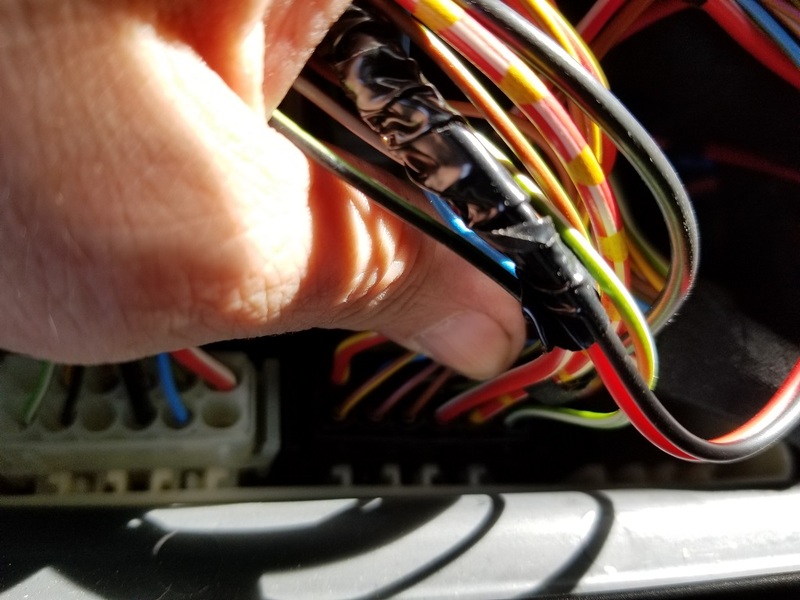 I then ran the wires under the windshield wiper cowling to the passenger side by the DME box and then ran the wires thru the grommet on that side like I had done on the drivers side. 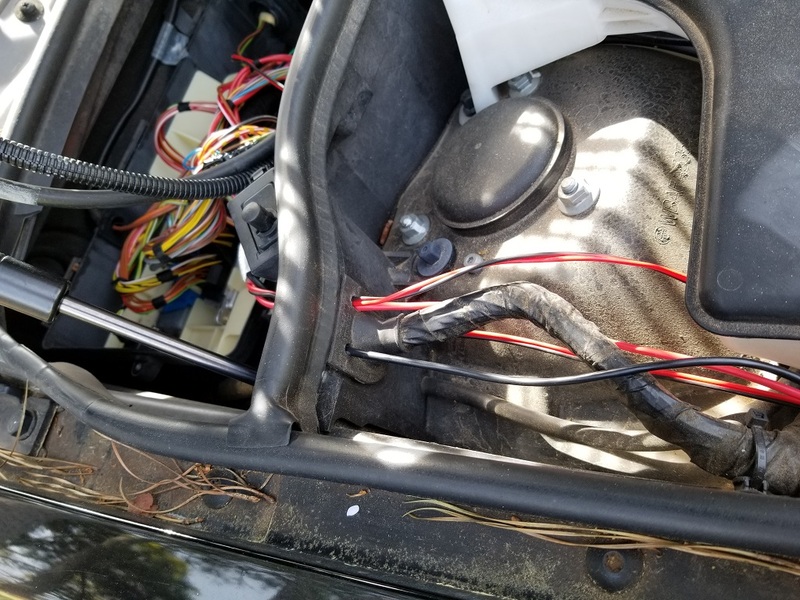 After getting the power and ground into place I opened the DME box and went hunting for my positive 12v ignition switched wire. I then ran this wire out of the DME box thru an existing rubber wire hose grommet that was there already. So now that I had my wires it was relay wiring time. 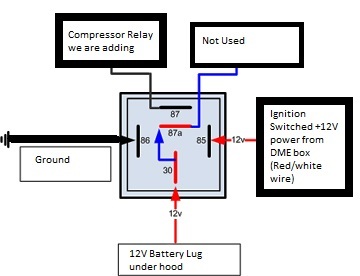 Here is a diagram of the main power relay for the project. 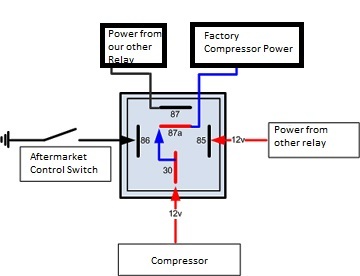 Here is a diagram of the compressor relay I added. You have to cut the compressor wire at this point. I left as much as I could on the side going to the compressor and I used a long leed when I ran from the compressor relay to the compressor wire itself. Didn’t want it to run out of slack and pull loose. In the above diagram the Compressor label goes to the wire that plugs into the compressor and the factory compressor power goes to the other side of that wire you cut. This completing the circuit as it was when the relay we are adding isn’t engaged. Also note on the compressor relay diagram above that 87 and 85 both show power from other relay. 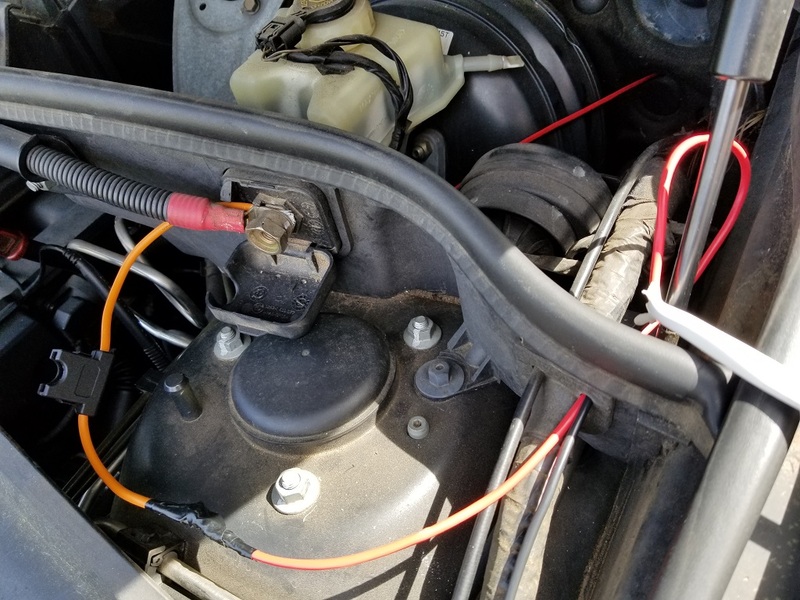 Both of these receive power from the same power so you can attach the two pigtail wires for those together before attaching it to the wire coming from the ignition switched relay. I still need to screw the relays into place so Im not posting the mounting part of that right now. Now we need to add the switch into the cabin area of the X5. This one stumped me pretty bad at first. I wanted something hidden for a mounting spot or at least something that wouldn’t be an eye sore. This actually took me a bit to make up my mind on. I think I hid it pretty well. See if you can see the switch I added. You can click on the picture to make it larger. Here is where the hidden switch is…. Here is a shot of it turned on. And a shot of it turned off. 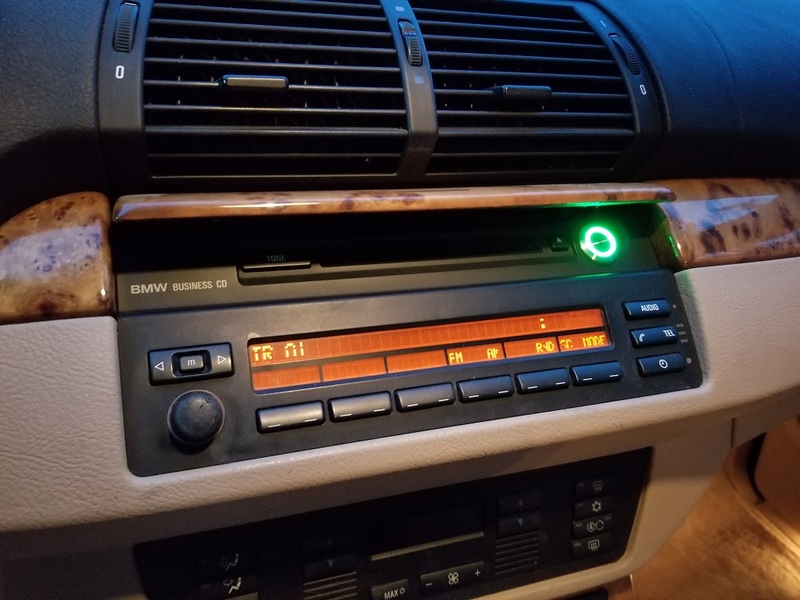 The X5’s with the business cd like I have use a tiny component cd player up top with large plastic tabs that come out to fill the gap. I mounted the switch in one of these tabs. I still had to mangle on the aluminum ears of the cd player a bit but it turned out pretty well. 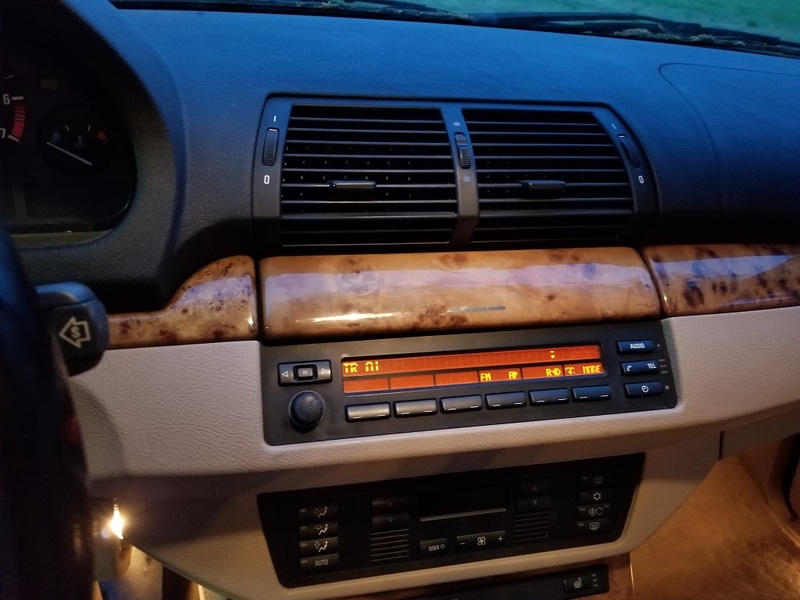 I’m not really sure what took longer drilling and modifying the cd player or getting the cd player out of the dash to start with. Both took awhile. 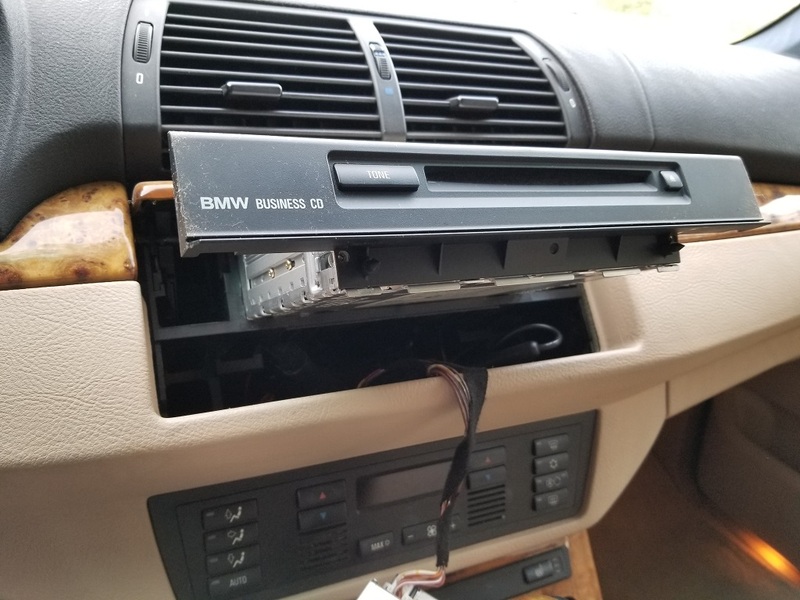 To remove the factory mid (lower power of the radio/status display) and the cd player (upper part that you put the cd into) requires different methods. You remove the mid first but pulling the volume knob off. It just pulls straight out. 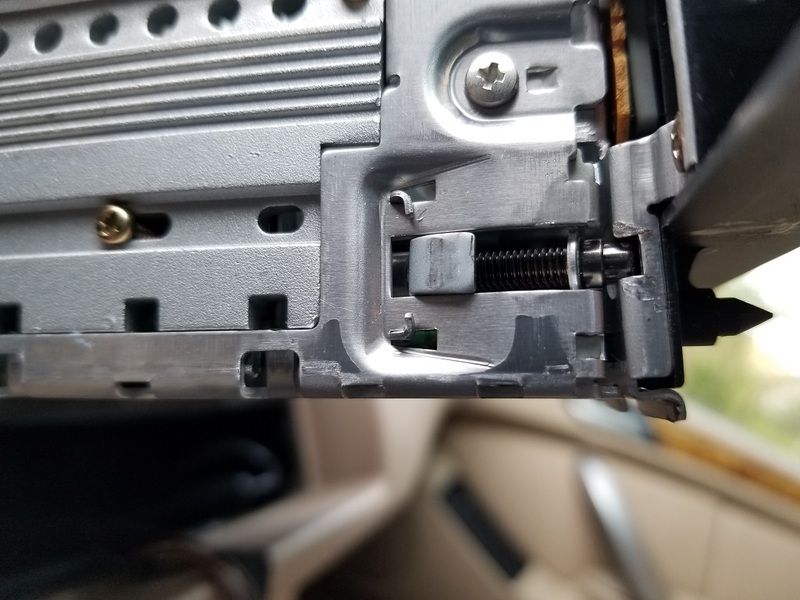 After removing it you will notice a torx or allen screw (this seems to vary from car to car as some of mine have an allen screw head and some have a torx head). I’m stressing this because it doesn’t actually fully unscrew. Think of it as a cam lever and the screw head is how you turn it. So turn the screw head 90 degrees or so counter clockwise. You will feel it stop turning. DO NOT force it. As soon as it stops your done. If it starts out very hard to turn try tightening it. Someone may of left it unlocked from a previous removal. So if it wont unscrew but will tighten then go back to the unscrewed position where it stops turning. I hope this makes sense. I have seen so many mid units people have destroyed the screw head on trying to “remove” the screw not knowing how it really worked. Ok once that’s done pull the mid unit outwards. Let it just rest on the console as we don’t need to really remove it further. 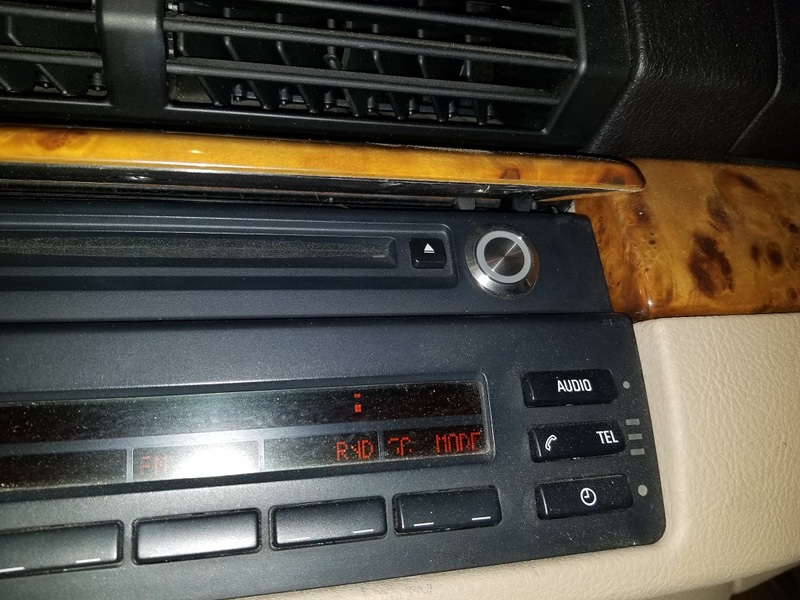 Now notice there are two screw heads visible on the cd player. These do unscrew. ALLOOOOOOOOOOTT. 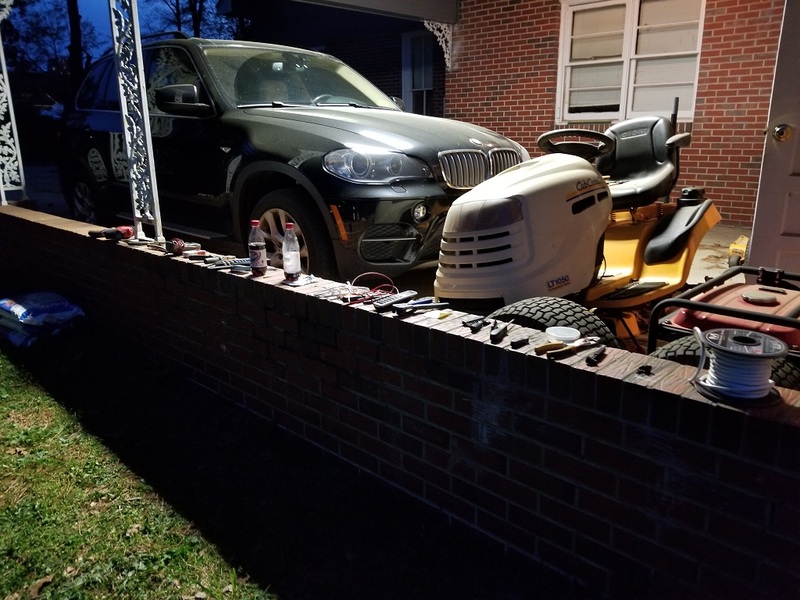 So much so you might want to use a power tool. You don’t actually remove the screws you are working a funky clamp system it uses. These pictures will show you what your facing with it. You don’t have to completely loosen them just whatever is required to get it to let go of the dash. Each of the pictures are clickable to make them full screen if needed. 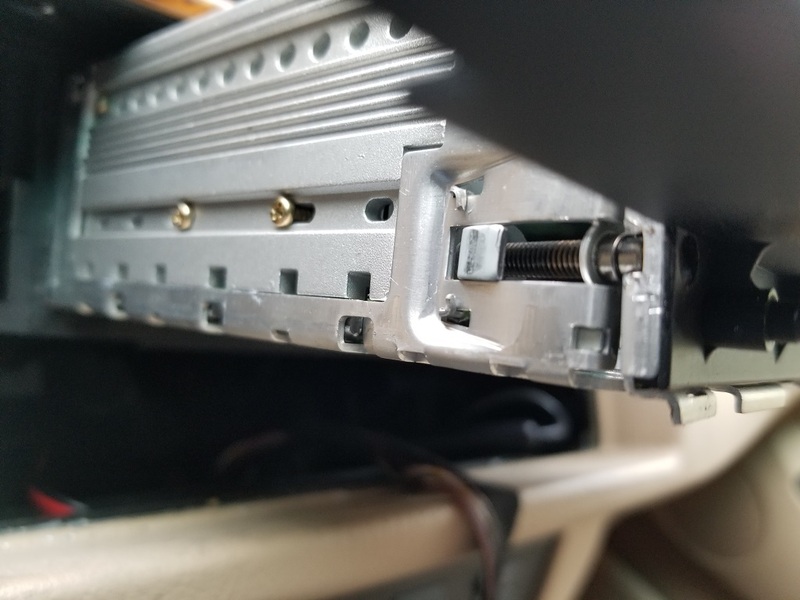 Once the cd player slides out you then need to unplug the main connector on the rear which uses a lever system that lifts from the bottom outward. 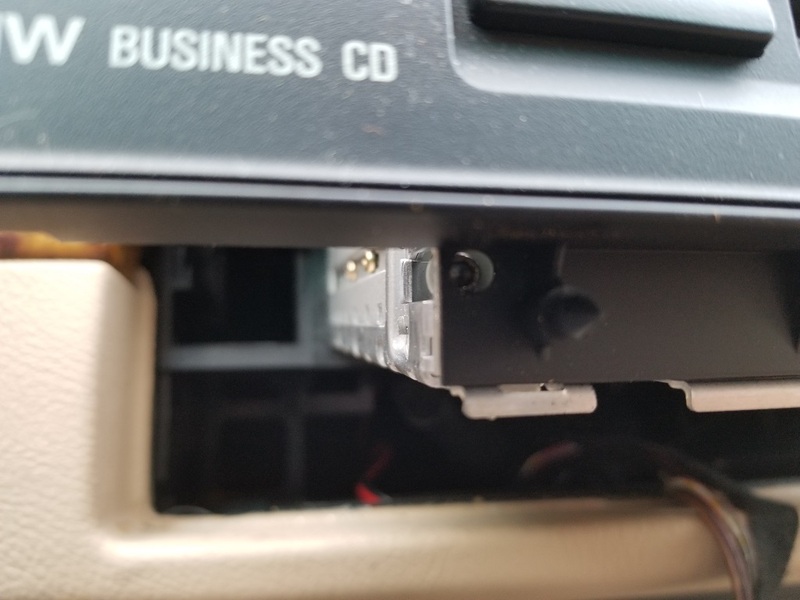 Once the main harness is removed remove the other small round cable on the other side of the cd player by squeezing the cable to release it. Now with the cd player in hand you can drill a hole to install the switch into the cd players face plate. 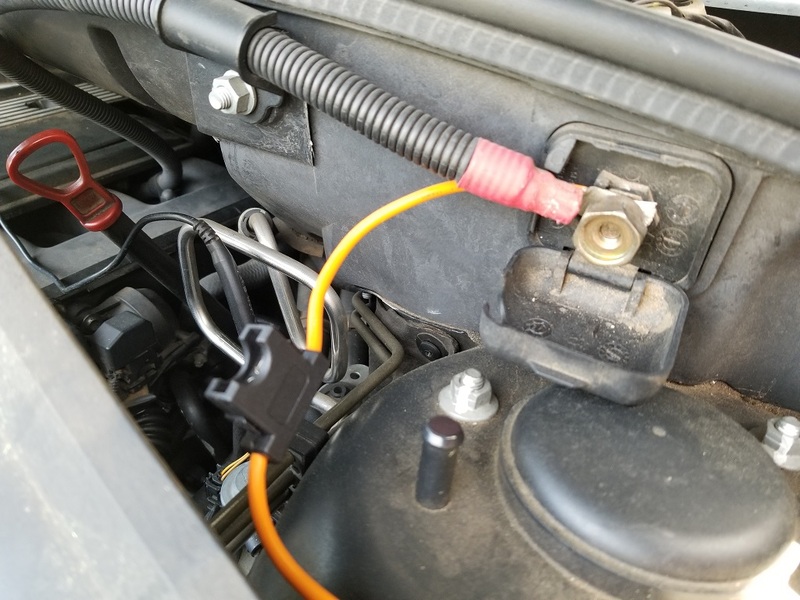 Needless to say I made use of those to light up my switch and provide the ground source for energizing the relay under the hood when the switch was turned on. Sweet find ! After putting everything back together I then proceeded to clean up everything I had dragged out for this project. Always fun. You can see my heavily pollenated 2013 X5 in the background. Pollen is baaaad right now.